Blazing Hog is a new internet service provider that offers 4G LTE internet options to its users. Their stable high-speed internet connection is available in rural areas nationwide and is a great alternative to satellite services where there are limited to no other options available. 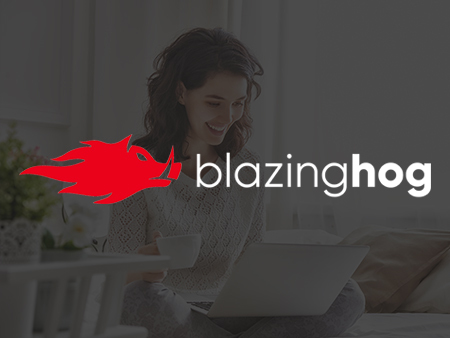 For those interested in gaming but with no access to traditional internet connectivity options, Blazing Hog is the definitive choice thanks to their low ping values making it possible to even enjoy competitive fast-paced online games. Also, their fast download speeds enable users to enjoy HD streaming services at no additional price, with no worries about data caps. Blazing Hog offers truly unlimited high-speed internet delivered via 4G LTE technology for as little as $99 per month. When compared to other MVNO (Mobile Virtual Network Operator) offers, this is almost half the price! Plus, the $99 price per month is a discounted deal that comes with a price lock of twenty-four months. You will have to pay for their modem, which is a one-time price of $149.99, as well as a one-time sim card activation fee of $49.99. So new customers are looking at onboarding costs of around $300 for the first month to pay for the equipment and first month of the internet and then only $99 for each month after that. In order to benefit from the price-lock, you’ll have to sign a 24-month contract, but you do get a 30-day trial period to test if there service is right for you. During this time you’ll be able to check the upload/download speed and if you’re not satisfied get a full-refund by reaching out to customer service. So this is a little less of a risk. Offering its services over cell phone towers and utilizing 4G LTE technology to bring fast and stable internet to its users, Blazing Hog are an MVNO. This means that they only offer services over cell phone towers but do not own the towers themselves. What they do is use underutilized cell phone towers to bring their internet services to those who live within that tower’s range. They can do that because these towers have enough room to take on more users, so they make deals with giants like AT&T and T-Mobile, as well as Verizon in some areas, to utilize all that unused potential and bring 4G LTE internet coverage to rural areas across the nation. Satellite internet, which is a go-to alternative for those lacking infrastructure for cable, DSL, or fiber internet, is often spotty, has very high ping, and doesn’t really provide unlimited data plans. Blazing Hog addresses those satellite internet pain points and offers the best possible internet connection for rural area residents. While it can be hard to find the actual, realistic download speeds with many other providers, Blazing Hog is very transparent about their capabilities. The actual speed you’ll receive will be different for each user and largely depends on how close/far you are from the cell phone tower it’s using. Blazing Hog do list their averages directly on their webpage and state that where the signal is strongest, speeds can go up to 150Mbps. Their national average download speeds are in the 27Mbps range, with the average ping being around 36ms, which is undeniably better for gaming when compared to satellite internet options. Lower Ping Times – Blazing Hog makes it possible to play competitive online games without lag. Unlimited Data – There are no soft or hard data caps on your internet connection. No Throttling – Your connection speed will never be intentionally reduced. No Deprioritization – You will never be on a lower priority tier (like with many other providers) when it comes to getting your internet service. Plug & Play Modem – The only thing you have to do to get internet is to plug in your modem. Move Your Modem – Since you are not bound by a satellite dish (or a phone line), you can take your modem with you and enjoy 4G coverage out and about too! 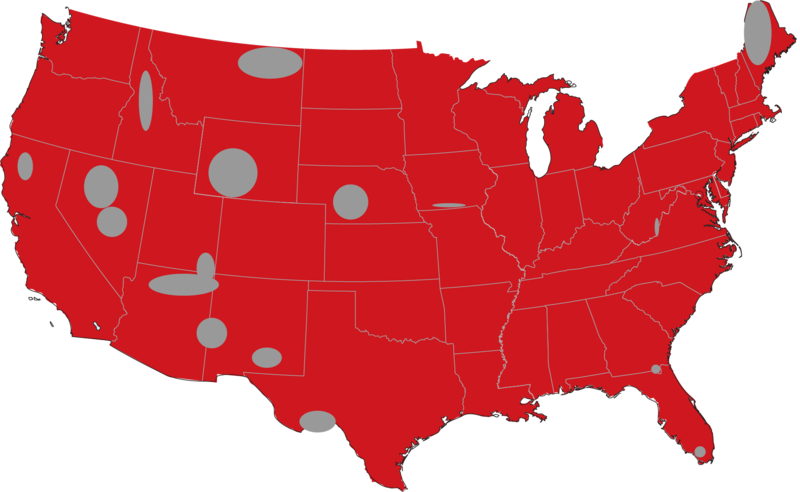 Thanks to their contracts with AT&T, T-Mobile, and Verizon, Blazing Hog covers the vast majority of the US territory. Note: The affected coverage gap areas can vary in size. Still, the right equipment can be utilized to get coverage even in gap areas. For that, you will need signal boosting equipment and of course service is not guaranteed. If you live in an area where the 4G signal is scarce, you can still get fast internet. First, you should contact Blazing Hog customer support so they can help you determine how far away you are from the nearest cell phone tower. Then, you can choose a signal booster option like the Pointing Antenna or cell boosters, which can catch signals from over twenty miles away. These are the options that the Blazing Hog customer service representatives often point out on their Facebook page. Note that Blazing Hog doesn’t sell or install signal boosters, but they will point you toward businesses who do. Blazing Hog seems to be the ultimate answer to issues experienced in many rural areas – no need for infrastructure to support fast internet speeds, decent package prices, and no data caps. While rural residents can’t expect to get fiber internet and 1Gbps speeds in the near future, they can get the next best thing with switching to Blazing Hog. This makes it possible to enjoy all the data-heavy activities usually reserved for cable, DSL, or fiber, such as online gaming, HD streaming, and downloading!